Even without swelling, I have “ballerina calves”. Ummm, curvey? Okay, fat calves. 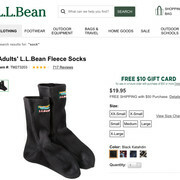 I bought a size Medium pair of socks, online, from L.L. Bean. The fabric is furry and a little stretchy. 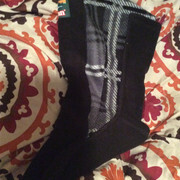 The socks have seams and are composed of three pattern pieces,...not all one piece like normal socks. They are almost soft “boots”. I’m going to try to insert fabric to make them larger over the calf. Here’s my modification. I opened the front seams of the “boot” and inserted plaid polyester fleece down each side.